TOP 10 BEST JOHN CARPENTER MOVIES! It's John Carpenter's birthday this week, so we thought we would take a closer look at the work of the director of the original "Halloween" himself! Carpenter has never been a huge box office draw with average box office earnings at just under $20 million ($53 million when adjusted for inflation), yet he has become an icon of the horror genre as most of his movies have reached cult status and have become loved long after their initial release. 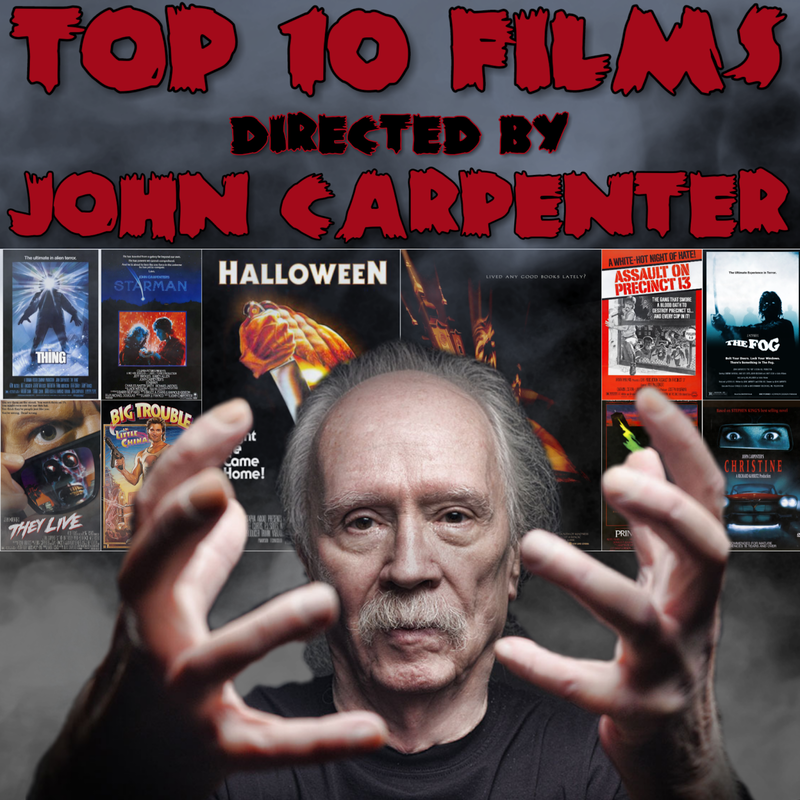 We have watched all of his theatrically released features, so here is our list of the TOP 10 BEST JOHN CARPENTER MOVIES! Do you agree with our list? Let us know! 10. "Prince of Darkness" (1987): John Carpenter likes to combine the scientific with the supernatural. This film sees a group of graduate students from various scientific fields conducting a study on an ancient relic filled with pure evil for the Catholic church. Though it is slow to begin, squirting fluids, tons of gore, and lots of goop fill the screen with gross effect. 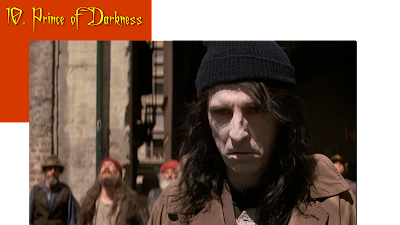 It has its fair share of flaws, but "Prince of Darkness" remains just entertaining enough to slide into our top 10. 9. "Assault of Precinct 13" (1976): One of John Carpenter's earlier works, this is really his first film with anything resembling a budget. It is a dark action crime thriller where police and criminals have to team up to fight off an assault by a local gang looking to kill people with reckless abandon. The movie has some great tension and exciting, action-packed moments as those trapped inside a closed police station fight to live. 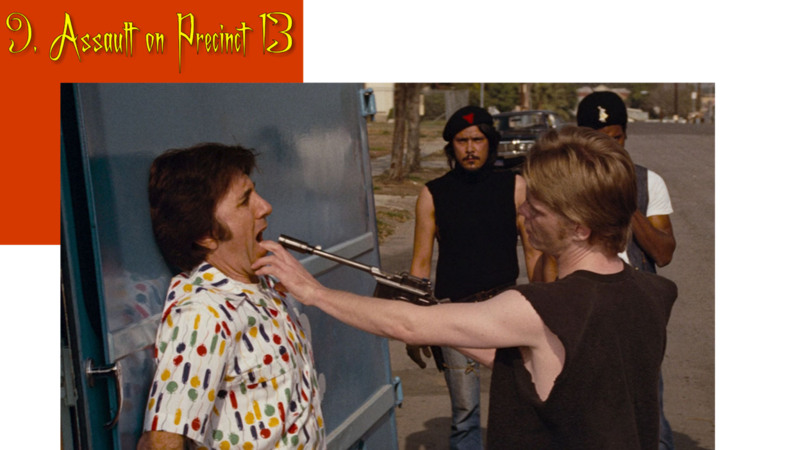 Even though the events take place at Precinct 9 District 13, making the title grossly inaccurate, we won't hold that against the movie. 8. "The Fog" (1980): This is a simple yet effective ghostly slasher flick. It may not have a lot of layered characters, and it may not be all that deep from a narrative standpoint, but it makes up for it by creating an unsettling mood and frightening atmosphere. 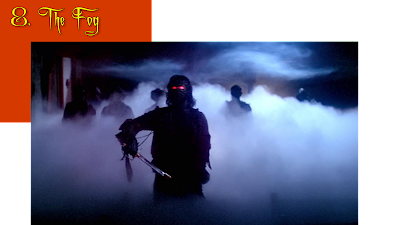 The visual effects used to create the eerie supernatural fog is super cool. The makeup work on the ghosts and the close-up shots of their gross, decaying skin is gnarly, and seeing them is definitely worth the wait. 7. "Christine" (1983): The one time John Carpenter teamed up with horror legend Stephen King, the results were wonderful. 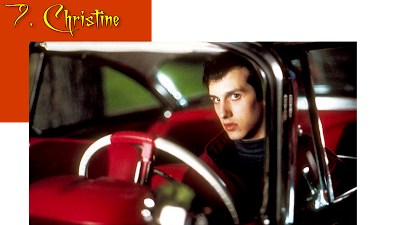 "Christine" is a tense horror movie that gives anthropomorphic qualities to a car with a murderous jealous streak. Protagonist Arnie Cunningham (Keith Gordon) has an interesting character arc. He starts out as a sympathetic nerd who is a victim of bullying and has overbearing parents and morphs into a self-confident douchebag who loses his true self over the course of his journey. With incredible special effects and effective kills, you should definitely check this one out. 6. 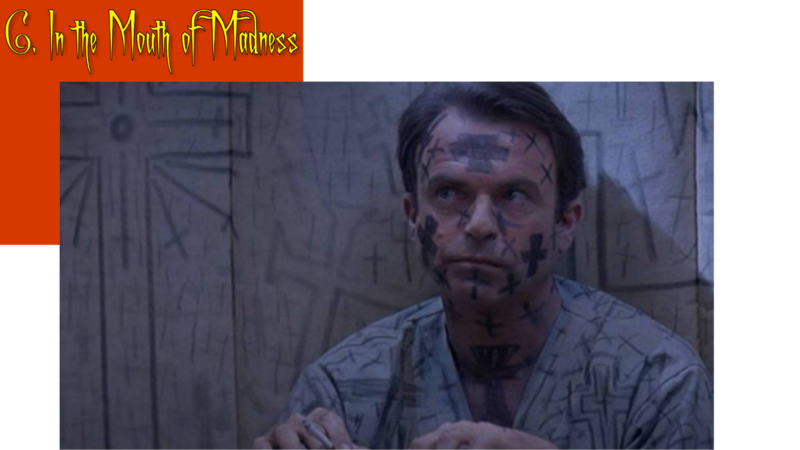 "In the Mouth of Madness" (1994): A literary world of horror comes to life as John Carpenter blurs the lines of reality and fiction in "In the Mouth of Madness." The film gets to explore philosophical ideas about our perception of reality and understanding of our own existence in a fun and gruesome way loaded with monsters and surreal imagery. 5. "Starman" (1984): A sci-fi romance about an alien hitching a ride to Arizona, how can it not be great?! 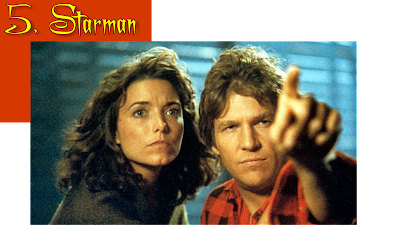 Jeff Bridges is fantastic as the titular Starman and is able to play what can be seen as a kooky character with total sincerity. He has excellent chemistry with co-star Karen Allen, who is equally amazing here. This film has heart, tons of humor, and even a little action. It is sort of like E.T. for adults, and we think it is definitely an essential watch for Carpenter fans, and movie fans, in general. 4. 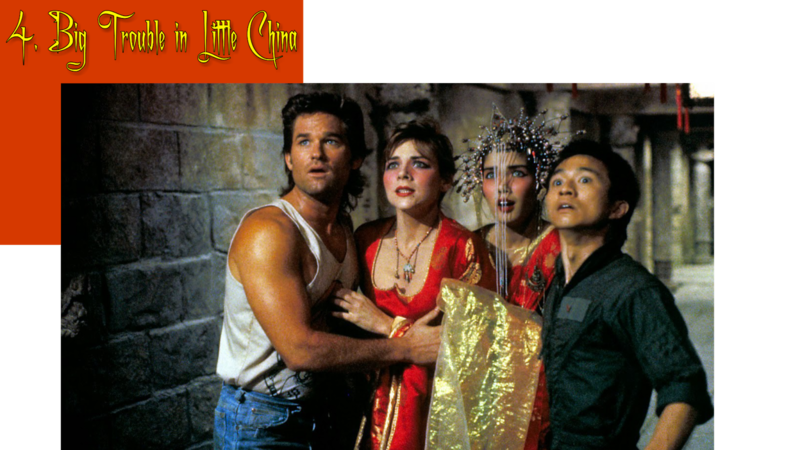 "Big Trouble in Little China" (1986): This outrageous flick uses fantasy, action, and comedy to create a magical moviegoing experience that sees a truck driver, a restaurant owner, and a sorcerer/tour bus driver battling the forces of evil. Kurt Russell owns the screen as the tough-talking, cool, and somewhat goofy Jack Burton, and we'd be hard-pressed to think of an actor with the swagger that he has for any potential remake/sequel. We love this movie. We have watched this marvelous film countless times and love it more with every viewing. It's so much fun! 3. "They Live" (1988): In many ways, "They Live" is a cheesy sci-fi b-movie about an alien invasion and nothing more. In other ways, it's a satirical indictment of Reaganomics and the 80's yuppy culture. Oddly enough, the issues explored in this film are just as relevant today, possibly even more so, then they were when it was made. 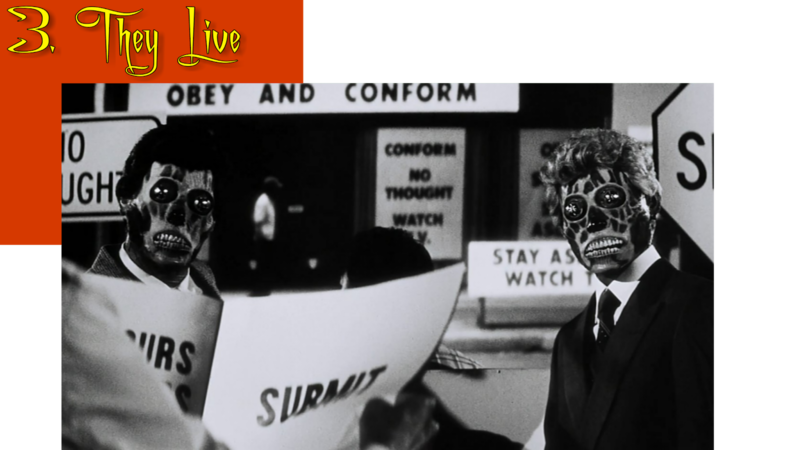 The premise of "They Live" is sufficiently creepy, as is the display of the subliminal messaging that is enough to make anyone a little paranoid. Hell, we're sure there's a section of the population that really believes pod people or aliens or whoever from above actually do control us via subliminal messaging. Are they right, or are they wrong? We'll probably never know. 2. 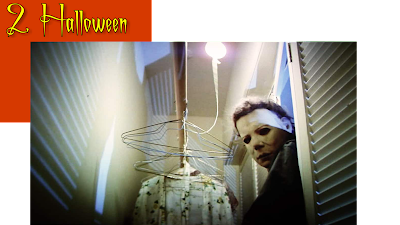 "Halloween" (1978): Despite having such a low budget and a lack of gore, "Halloween" remains one of the best horror movies of all time. The soundtrack is so unnerving and perfect that just hearing it can send chills up and down your spine. It drives the movie to become the creepy, scary, tension-filled flick we know and love. It's probably the most necessary component of the film aside from the evil, deadly Michael Myers himself. This is a must watch classic whenever you are in the mood for something scary. We watch it every October and still love it to this day. 1. 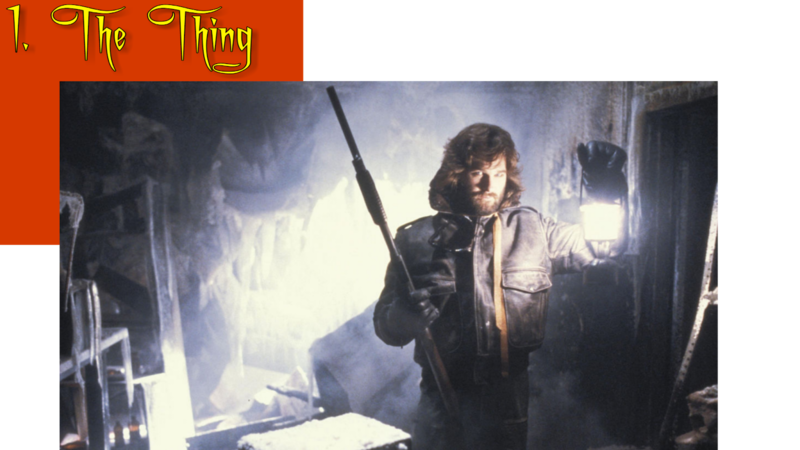 "The Thing" (1981): Though it was a box office flop, "The Thing" has become a horror classic as it deals in the realm of paranoia and our fear of the unknown. This movie layers on the tension so thick you can cut it with a knife. The creature effects are fantastically amazing and still hold up for the most part. We would rather see special effects like this than inferior CGI that looks like a cartoon. The horror elements go deeper than just surface-level blood and goo since the threats don't just come from an alien being, but potentially even from the people in the room with us. The ending is incredible. The acting is stellar. Carpenter outdid himself with this one. We love "The Thing" and so will you!